Preheat oven to 350 degrees. Place chicken breasts between two large sheets of plastic wrap. Using a meat tenderizer, pound them out to an even thickness, about 1/4", being careful not to tear through the flesh. Sprinkle dried oregano evenly over each one, then season with salt and pepper. 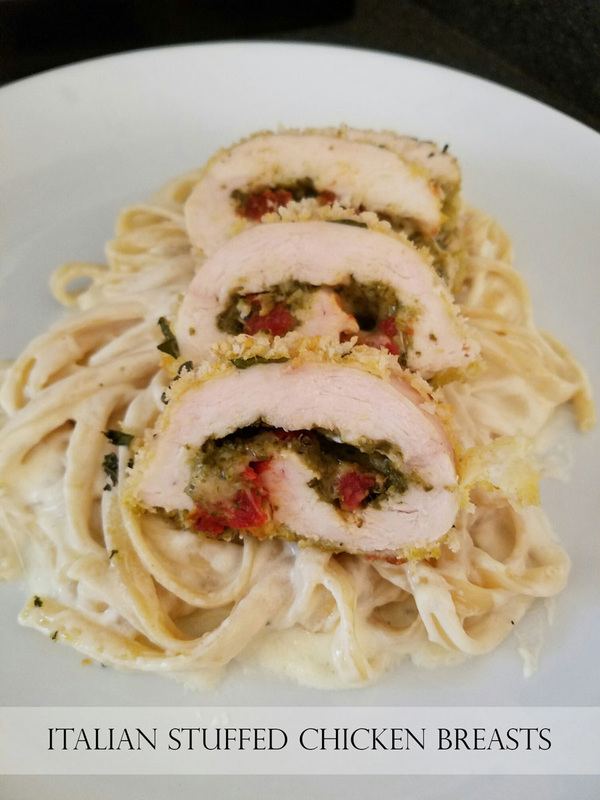 Spoon 1 tablespoon of pesto on top of each chicken breast and spread evenly over the entire surface. Then, top each with ½ cup of shredded mozzarella cheese, then sprinkle each with 1 tablespoon of sun dried tomatoes. Gently roll each chicken breast and secure with 3 large toothpicks. Place flour and eggs in two separate bowls. In a third bowl, combine panko, parmesan and basil and stir to combine. 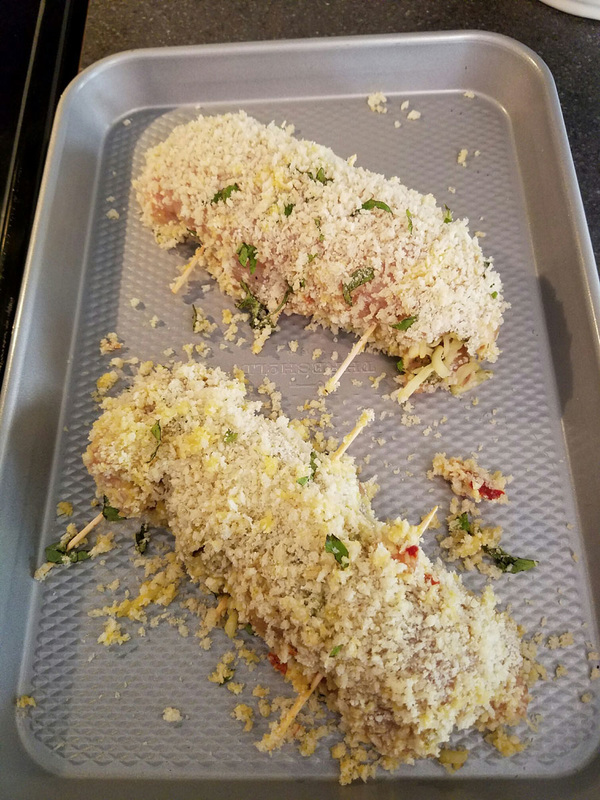 Gently dredge each chicken breast in the flour, then the beaten egg, then the panko mixture. Place on a baking sheet and bake at 350 degrees for 30 minutes. Remove from the oven and let rest for 10 minutes. Slice and serve over your favorite pasta and sauce.